MOVE IN READY!! ALL NEW CARPET IN BEDROOMS AND FLOORING IN BATHROOM, REFINISHED HARDWOOD FLOORS THROUGHOUT! Quiet street in family friendly neighborhood with great neighbors! This charming home is at a phenomenal price! Freshly painted and updated. Double wide driveway with extra parking space. Neutral paint throughout blends beautifully with all the natural light! 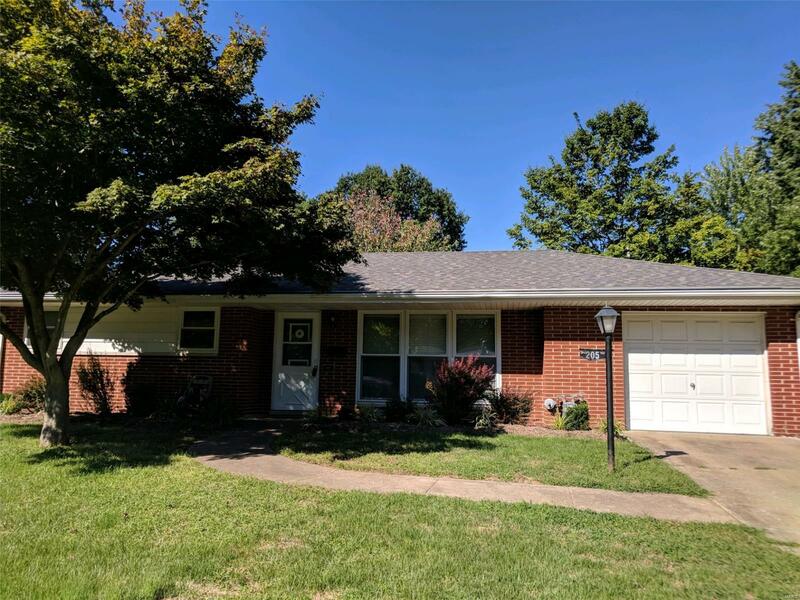 It has an UPDATED KITCHEN with solid oak cabinets and a stainless refrigerator, an updated bath with storage and two bedrooms with great closet space. Rest easy with all the updates already done for you including: NEWER ROOF AND GUTTERS, NEWER HVAC system, NEWER WINDOWS, and fresh LANDSCAPING. Entertain on your patio in the large, flat backyard that also has an adorable shed. The garage boasts tons of built-in storage, and the washer and dryer stay! Additionally, SELLER TO INSTALL NEW DOOR TO PATIO AT CLOSING!